Another well attended IIBA branch event, hosted by Lloyd’s Banking Group, went down in Edinburgh this week. 7 (ish) Considerations for Business Analysis Communities of Practice (CoP) was the topic of discussion. 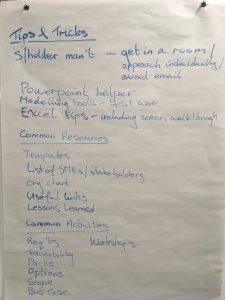 A popular topic as it seemed many BAs were keen to explore the key elements for setting up, developing and growing a BA CoP. 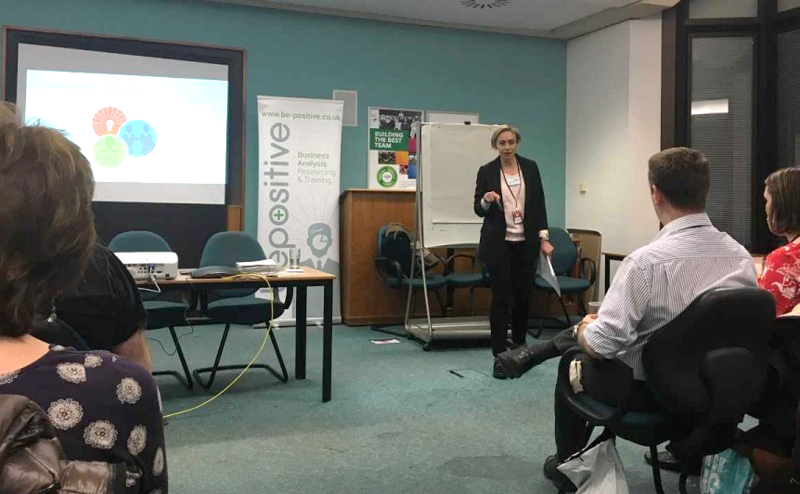 Be Positive’s Vicky Di Ciacca presented the topic and began by imparting her own wide-ranging knowledge and research about CoPs. Vicky reminded us that a strong community really does foster interactions and encourages a willingness to share ideas. In small groups we debated the why and why not, particular groups could be classed as a CoP. From the BA’s lunching and learning to the hip hop dancers who do their thang twice weekly, to the fin-tech start up peeps that often link-up. This reinforced that CoPs come in all sorts of forms but what they all have in common, is that they each involve groups of people who “share a concern or a passion for something they do and learn how to do it better as they interact regularly” (Wenger, 2005). Next up, in different small groups, we captured the top 10 brand values for a BA CoP. 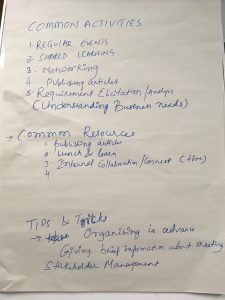 I’d made me chuckle that most attendees shared an urge to categorise and prioritise the lists we were creating; we just can’t help ourselves. One group got carried away and added an 11th Value, passion and enthusiasm. Passion is a recurring theme from these events; ultimately it’s a passion for the BA profession that drives people together after a day’s work. Someone pointed out that these type of events can sometimes be a bit dry but not for a group of pumped up BAs sharing and learning. If you’d like to come along and participate in the next IIBA event, ‘Beating the offshore challenge’ you can join the Edinburgh branch once more at Lloyds Banking Group, Port Hamilton on 18th April. 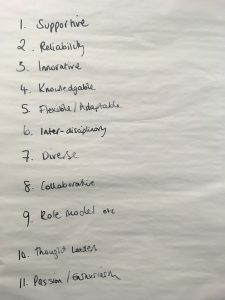 Agile Interaction: Who Are The Agile BA's Key Stakeholders? 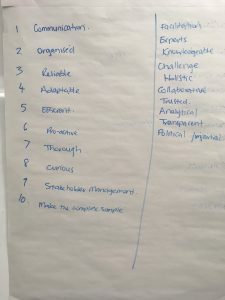 Top 10 ambiguous phrases to avoid when writing business requirements - or your project will fail. Worried you might miss one of our posts? Sign up to our newsletter and receive a regular roundup of all posts we published. Be kept up to date with all the latest industry knowledge and training courses. Contact us now to discuss how we can help Enhance your Business Analysis capability.